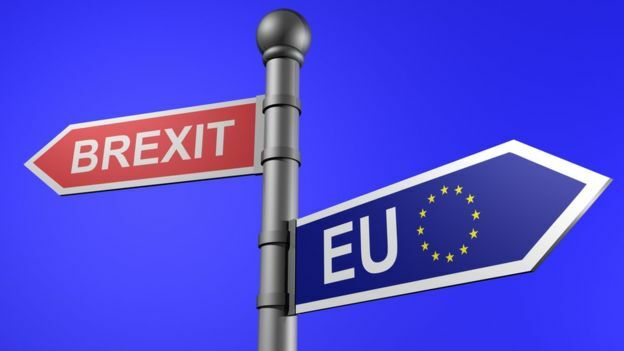 A scenario in which the UK leaves the EU without agreement (a ‘no deal’ scenario) remains unlikely, however, it’s important to prepare for all eventualities, including ‘no deal’, until we can be certain of the outcome of negotiations. Below is some information about what is needed in a ‘no deal’ scenario, so informed plans and preparations can be made. Before 29 March 2019 – ‘no deal’ in place…. To export animal products and live animals to countries outside the EU, exporters must apply for, and be issued with, an Export Health Certificate (EHC). Different rules apply to trade between countries within the EU. Exporting live animals and some very specific animal products (such as germplasm) requires exporters to provide either an EHC or, more generally, an EU-specific version of an EHC known as an Intra Trade Animal Health Certificate (ITAHC). For all other animal products, no certification is required and no specific processes must be followed. To obtain EHCs and ITAHCs, exporters contact the Animal and Plant Health Agency (APHA), in Northern Ireland they contact the Department of Agriculture, Environment & Rural Affairs (DAERA), providing details of the consignment, its destination and travel arrangements, as well as their preferred Official Veterinarian or authorised signatory to certify their products. APHA or DAERA issues a paper EHC for the exporter to provide to the country of import. There are additional requirement when transporting live vertebrate animals for commercial or economic activity. For all journeys, the transporter must hold a valid Transporter Authorisation and drivers and attendants must hold a Certificate of Competence. For journeys over eight hours within the EU, vehicles must also have a valid vehicle approval certificate. Transporter Authorisations, Certificates of Competence and Vehicle Approval Certificates must be issued by an EU country. For journeys over eight hours where farm livestock and unregistered horses will be transported, the transporter must also hold a Journey Log. After March 2019 if there’s ‘no deal’…. Requirements for trade to third countries outside the EU should not change. However changes would be required to the wording of the documentation, which would need to be agreed with the destination country, to reflect the fact the UK would no longer be a member of the EU. The EU would require the UK to be a listed third country. In the unlikely event of a ‘no deal’ scenario, the UK would apply for this status but cannot be certain of the EU response or its timing. The EU would also no longer recognise transport authorisations, certificates of competence, or vehicle approval certificates issued by the UK. UK transporters wishing to transport live animals in the EU would need to appoint a representative within an EU country and apply to their relevant government department to obtain a valid Transporter Authorisation, Certificate of Competence, Vehicle Approval Certificate and, where necessary, a Journey Log. Journey logs would need to be obtained from the EU country that is the initial point of entry into the EU for export. Exporters would need to present their transport documentation at a Border Inspection Post in the EU. UK-issued transport documentation would remain valid for transport within the UK only. Petplan Awards – Vote for us!